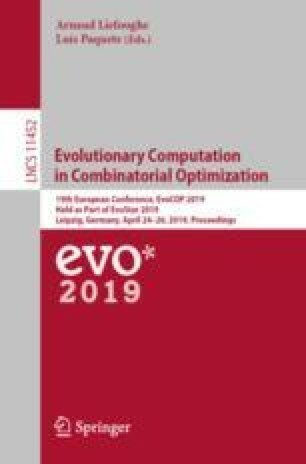 This paper introduces MADEB, a Memetic Algebraic Differential Evolution algorithm for the Binary search space. MADEB has been applied to the Multidimensional Two-Way Number Partitioning Problem (MDTWNPP) and its main components are the binary differential mutation operator and a variable neighborhood descent procedure. The binary differential mutation is a concrete application of the abstract algebraic framework for the binary search space. The variable neighborhood descent is a local search procedure specifically designed for MDTWNPP. Experiments have been held on a widely accepted benchmark suite and MADEB is experimentally compared with respect to the current state-of-the-art algorithms for MDTWNPP. The experimental results clearly show that MADEB is the new state-of-the-art algorithm in the problem here investigated. The research described in this work has been partially supported by: the research grant “Fondi per i progetti di ricerca scientifica di Ateneo 2019” of the University for Foreigners of Perugia under the project “Algoritmi evolutivi per problemi di ottimizzazione e modelli di apprendimento automatico con applicazioni al Natural Language Processing”; and by RCB-2015 Project “Algoritmi Randomizzati per l’Ottimizzazione e la Navigazione di Reti Semantiche” and RCB-2015 Project “Algoritmi evolutivi per problemi di ottimizzazione combinatorica” of Department of Mathematics and Computer Science of University of Perugia.